First Holy Communion is a very special time in a little girl's life. 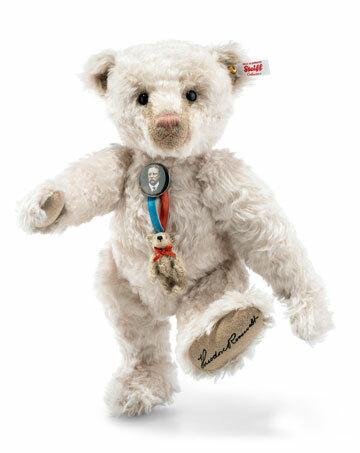 Celebrate this meaningful day with a commemorative doll that will be cherished for years to come. 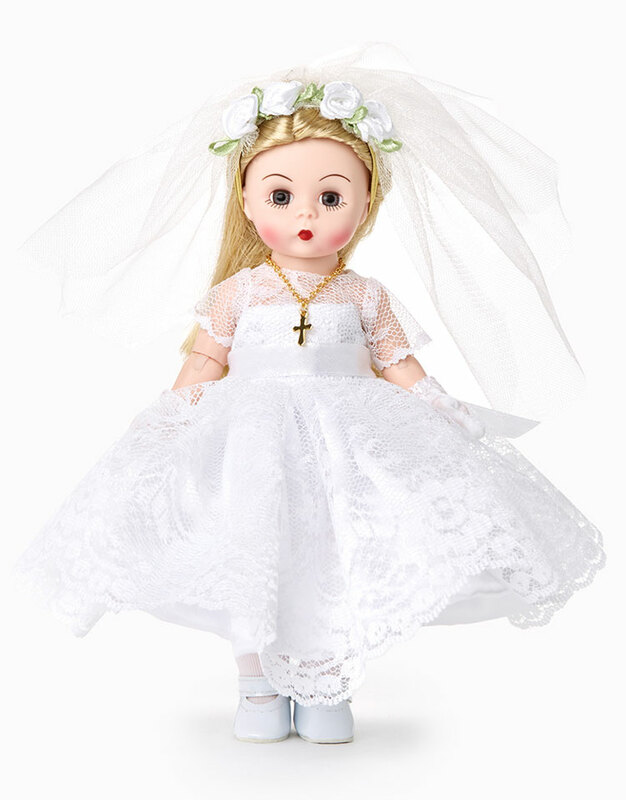 New for 2019, this 8 inch Wendy is beautifully outfitted in a lovely white satin dress with lace overlay. She's perfectly coordinated in a veil accented with flowers, along with stockings and Mary Jane shoes. First Communion Wendy is made of vinyl and fully articulated with jointing at her neck, shoulders, elbows, waist, hips and knees. She has blonde hair, blue eyes and a light skin tone. First Communion Blessings Blonde 75090 is part of Madame Alexander's Celebrations Collection and is also available in two brunette styles. Suitable for ages 14 and up.